Lead generation fundamentals are critical for all businesses. A lead is that person or group that will consider how your product or services can help them. And hopefully will want to learn more. Many businesses both old and new are still trying to navigate the new world of inbound marketing. The concept of using attraction techniques and having the ability to spend resources in those places where your customers congregate. Log over are the days of depending on traditional interruption marketing techniques only. Unless you have the deepest of pockets, it is very difficult to execute your marketing ideas to the masses on television, radio and print media alone. Get Your Copy Of Our Lead Generation Fundamentals eBook Here ---> Free Ebook! We are learning to target our prospects and customers with great accuracy and technology like a well optimized website, content develop by way of blog marketing and social media now let you talk directly to your target markets. These are ideas and techniques that are now more a part of lead generation fundamentals than they ever have. Lets talk about one particular area that is host to many lead generation fundamentals. 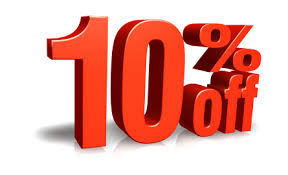 Your online offers. I don't mean your products or services directly. I mean those offers you construct that have the purpose of getting the initial attention of a possible customer. Traffic development is a different conversation but once you have success bringing traffic to your website, you must immediately provide something of value to keep them there and keep their attention on the benefits you can bring to them. There are many forms of these "on-page" offers that can be used to communicate your benefits and connect with those in the market either for top end research or deeper level consideration and ready to connect or even buy. A well constructed online "offer" has some common elements that make it more effective. Remember that amount of time you have after you have successfully secured the attention of a potential customer. Not very long at all so not only does your communication need to be effective but your systems or functionality must be clear and easy to use. It all starts with your landing page. If you have marketing experience of any kind, you may already understand how you attracted the visitor to your landing page to get this process started. Once you have the attention of your website visitor, you need to present some form of an offer. An offer can be anything as simple as a way for the visitor to contact you or a little more interesting by offering a demo of your product or a free consultation that educates more about your fantastic services. Remember to make your offer valuable. The "contact us" example I gave below skimps on the value a bit but the example of a "demo" clearly offers more. Make your offer appear scarce or for a limited time. Encourage them to act soon. If your offer has been well received by others, talk about that or even show that data as a reference. Also try to remember to avoid highly technical terminology. The next component of your successful offer created to be a lead generation machine is a "Call To Action" otherwise known as a CTA. This can be considered the secret sauce of your offer. This is where you are very clear about what you want the visitor to do next and why. 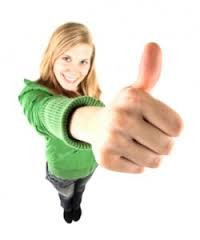 The final element of this simple lead generation offer is the "form". This is the magical piece of technology that allows you to collect information from the website visitor so you can continue to provide exactly what they need to remain engaged with your organization.These are very basic lead generation fundamentals and once you begin to understand the process and objectives better, you can apply this strategy throughout your website or other Internet marketing platforms. 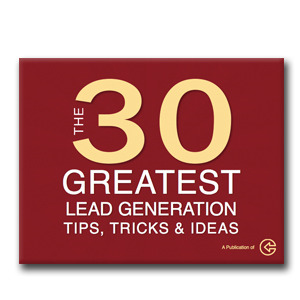 Lead Generation Fundamentals eBook ---> Free Ebook! We can help you more by giving you our incredible 40 page eBook that will act as your guide through the lead generation fundamentals. Work at your own pace and double check your marketing efforts as you need. You are in the middle of a major shift from traditional marketing to inbound marketing and without the knowledge, technology and effort, it is very possible to be overtaken by competitors who have a head start.